Following the The Great British Bake Off I have been inspired to get back into the kitchen! Trying to sneak a healthy twist in there too. I came across this delicious recipe on BBC Good Food and made a couple of amends to make it gluten free. I also use all organic ingredients as a preference! This is a must try as they are truly delicious! keeping my fingers stain free, and getting messy! 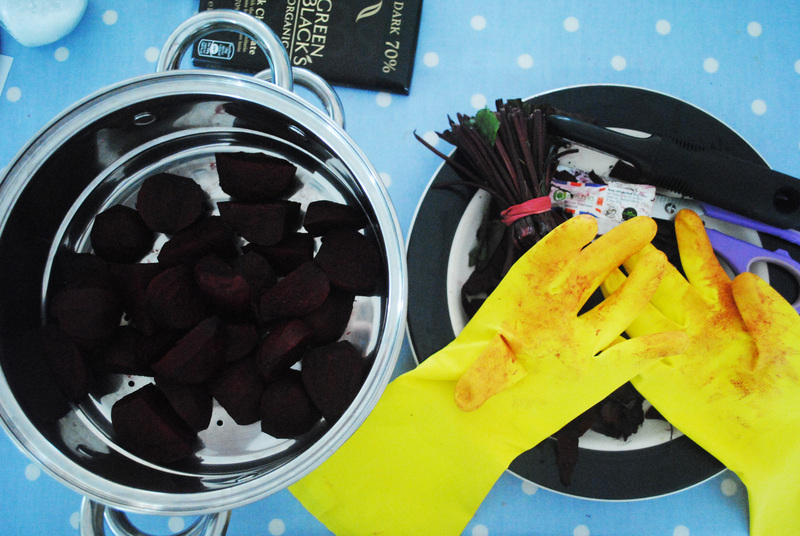 Start with Beetroot, I pop on a pair of rubber gloves so I don’t get Beetroot stained fingers. Then peel and chop the beetroot, pop in a steamer and cook until soft. Pop the Sugar and Eggs into a large bowl, and whisk together preferably with an electric whisk until it is thick, pale and foamy. 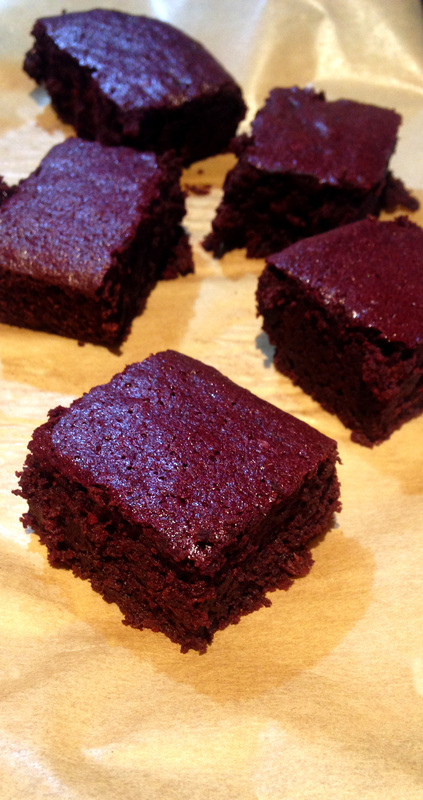 Gradually spoon in the Beetroot mixture, and using a large metal spoon, fold the mixture in. Trying to retain as much air to the mixture as possible. Pour the mixture into the prepared tin and bake for 25-30mins or until the brownies are completely risen and there’s a tiny bit of mixture left on the knife when you check the centre of the bake. Once cooked cool in the tray and cut and enjoy!